“We march for life because abortion is a horrific human rights travesty,” said Mancini. She moderated a panel discussion on “how the pro-life movement continues to empower women” with Susan Gallucci, executive director of the Northwest Center, which offers a range of services to pregnant women and new mothers; Chuck Donovan, president of Charlotte Lozier Institute, the research and education institute of the Susan B. Anthony List; and Alison Howard Centofante, director of alliance relations at Alliance Defending Freedom, a nonprofit legal group that supports pro-life, religious freedom and other issues. 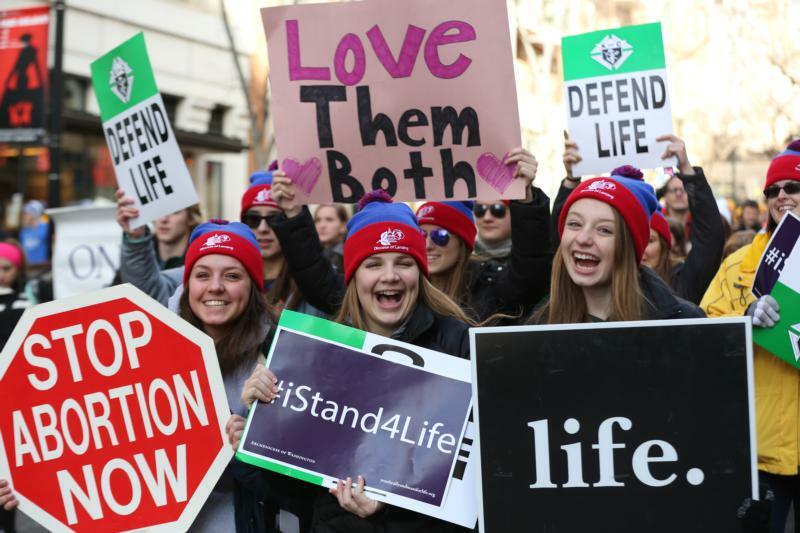 The March for Life will take place Jan. 19, which is a Friday and comes ahead of the Jan. 22 anniversary of the U.S. Supreme Court’s 1973 ruling in Roe v. Wade and its companion case, Doe v. Bolton, that invalidated state and federal restrictions on abortions, legalizing abortion virtually on demand. “Planned Parenthood pushes the message that you should just eliminate the child to eliminate the problem,” she said. “This world has too much violence, and this shows that we are loving at our core,” Centofante said about the 2018 theme. “At the early stages of the pro-life movement, providing alternatives to abortion was at the heart of the movement,” noted Donovan, adding that pregnancy centers are leading the movement all over the U.S.